The JRR-3 has been utilized as a top-level high performance research reactor in the world for beam experiments and neutron irradiations. There are 9 irradiation facilities for irradiation tests on nuclear fuel and material, production of RI and silicon semiconductor and neutron activation analysis. Furthermore, there are total 31 instruments for neutron beam experiments including 13 and 16 instruments belonging to universities and the JAEA, respectively. 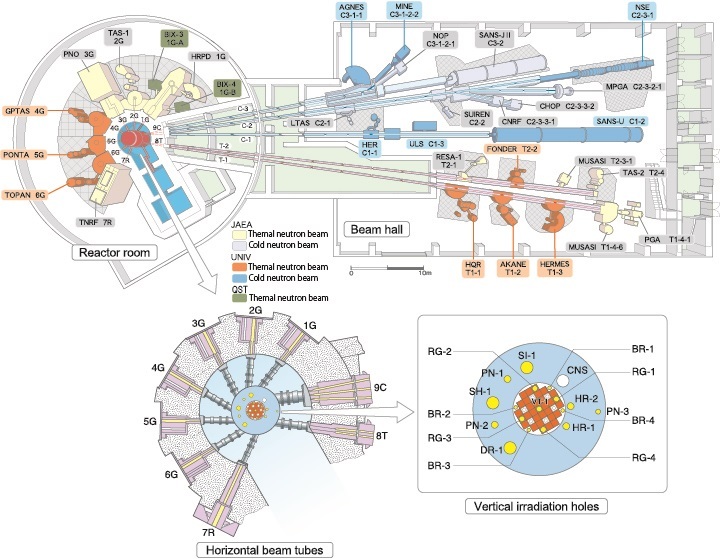 List of neutron irradiation facilities and instruments are shown below.